The Electronic Stability Control (ESC) system is designed to stabilize the vehicle during cornering maneuvers. ESC checks where you are steering and where the vehicle is actually going. ESC applies the brakes at individual wheels and intervenes with engine management system to stabilize the vehicle. 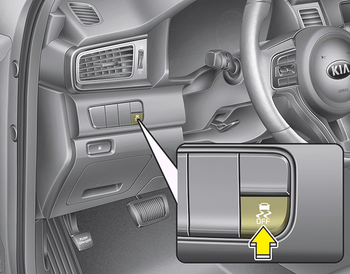 A click sound may be heard in the engine compartment when the vehicle begins to move after the engine is started. These conditions are normal and indicate that the Electronic stability control (ESC) System is functioning properly.